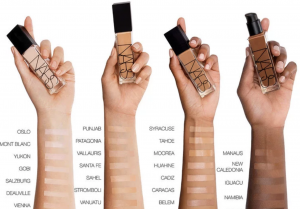 Who it’s for: Anyone with any skin type who wants medium-to-high buildable coverage and a long-wearing, radiant finish. What it does: This award-winning concealer is coveted by artists and non-artists alike for its luxurious texture and luminous finish. It delivers all-purpose, 16-hour perfection and is enriched with hydrating, multi-action skin care benefits plus light-diffusing technology to create a softer, smoother complexion while instantly obscuring imperfections and diminishing fine lines and signs of fatigue. 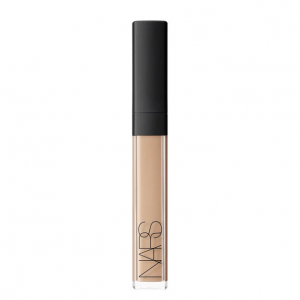 It’s ideal for highlighting, contouring, correcting and perfecting. Mineral tone-balancing powder works to optically correct, not mask, imperfections, with unique powders that even skin tone and provide invisible skin correction for a look that’s radiant, fresh and natural. 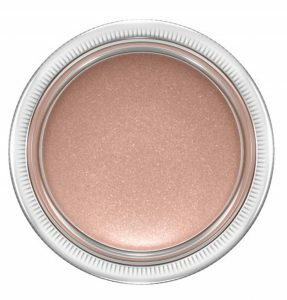 Light-diffusing mineral powder reduces the appearance of fine lines and wrinkles and helps even skin tone, hides imperfections all day long. A multi-active botanical blend made up of magnolia bark extract, grapeseed extract and vitamin E helps to hydrate, reduce the appearance of redness and improve skin resilience by increasing moisture retention. It’s resistant to sweat, creasing, humidity, transferring and water. How to use: Apply directly from the applicator, with your fingertips or with a cream blending brush. If using as a highlighter, select 1–3 shades lighter than your ordinary concealer shade and place on the high points of your face. To add dimension and contour, select two shades deeper and place in the hollows of your cheeks, on your temples and along the hairline and jawline. 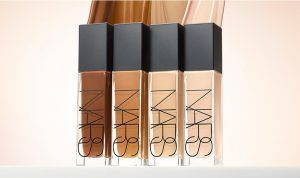 What it does: It’s innovative second skin-like formula blends smoothly over lids and creates seamless, buildable coverage without looking heavy or cakey. It’s superior colour purity stays true and will not streak, crease or flake. 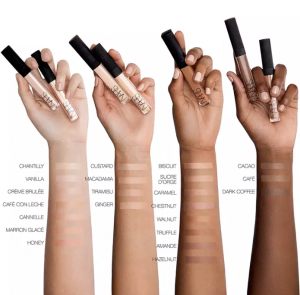 Water-resistant, it can be mixed with other products like shadows and eyeliners. How to use: Apply to your eyelids with a soft or firm brush as an eyeshadow base or standalone cream shadow. 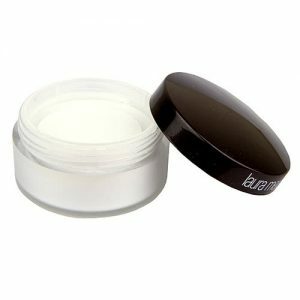 For an eye look with longevity, apply this first then apply your favourite powder eyeshadow on top. A luxurious creamy base to create the perfect blank canvas ready for ultimate colour popping creations. 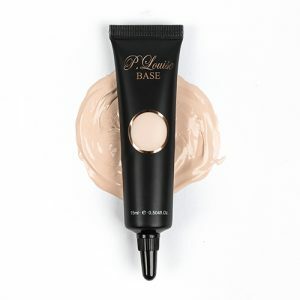 With its super thick consistency and ‘no cracking’ quality, the P.Louise Base is a must have product to have in your kit. Its full coverage formula helps to cancel out any unwanted brow hair and carve out those highly requested fleeky brows. The ultimate no-shine base for oil control. 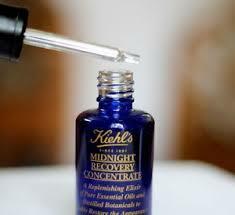 Offers oil-free, lightweight hydration with natural colloidal minerals and antioxidants. Use day or night. 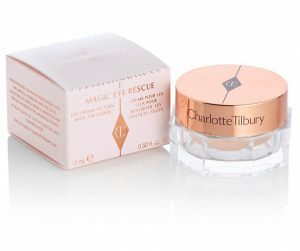 Charlotte Tilbury “magic cream”- good skincare is the foundation of an amazing look. 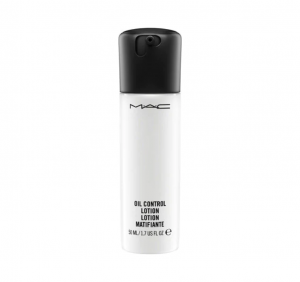 MAC soft and gentle highlighter perfect for a subtle glow or can be built up to be more powerful. 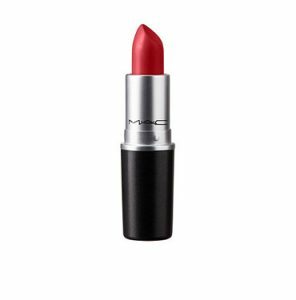 MAC Ruby Woo lipstick, because red lips never go out of fashion! 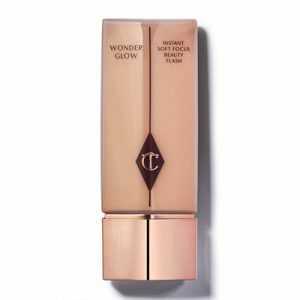 Charlotte Tilbury’s Wonder Glow – amazing for a dewy glow on the skin. 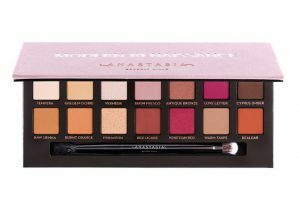 Anastasia Beverly Hills Renaissance Eyeshadow palette – these eyeshadows blend perfectly to create a day or night look. Inglot Gel Eyeliner – the darkest and longest lasting eyeliner I have ever used! 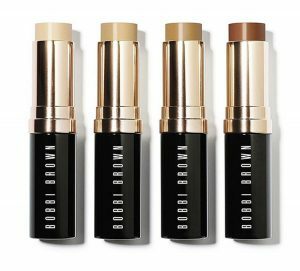 Bobbi Brown Foundation stick – customisable coverage, comes in ALL skin tones, Hand bag friendly and perfect for touch ups! 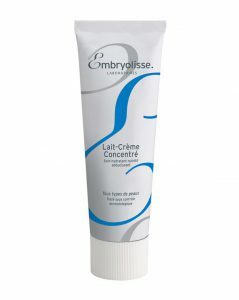 great product for creamy blendable contouring! Laura Mercier Secret Brightening Powder – translucent and velvety, it’s one of my favourites for setting under eye make-up (non-cakey!) and giving the skin that airbrushed effect. 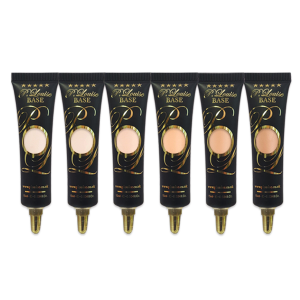 Airbase SB Foundation – Airbrush makeup creates a long wearing flawless base. 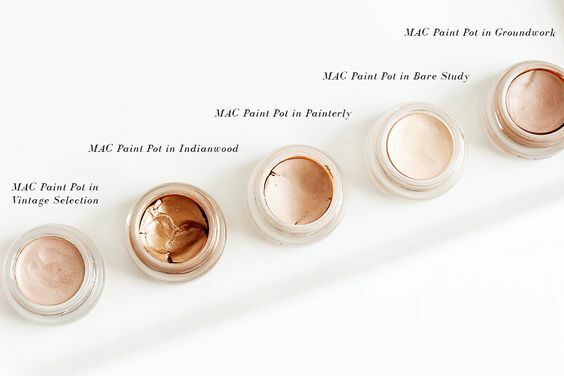 MAC Mineralize Skin Finish – Because you can never have enough highlight!